"PEMBERTON HEIGHTS". Absolutely a stunning West Coast family residence that would appeal to the most discriminating Buyer. 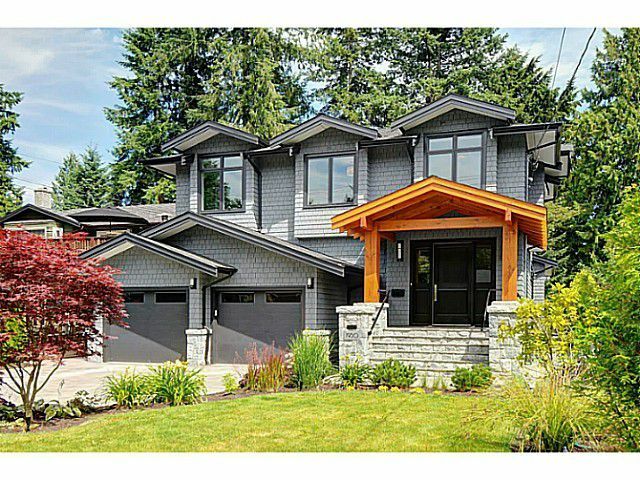 This custom built 3 level contemporary offers 5 bedrooms plus 5 bathrooms. Thoughtful and a functional open floor plan features a gourmet styled kitchen, with stainless top end appliances an oversized island, pantry, office and conjoined living/dining areas. Superior custom millwork, hand hammered granite and gleaming hardwood floors of the main area lead out to the cozy post and beam covered patio overlooking a level private backyard. Upstairs discover 3 generous sized bedrooms in addition a master retreat complete with walk-in closet, spa bathroom and a quaint upper deck. Convenient laundry room on the same level will ease the care for the busy lives. Downstairs boasts an open media/games area and family room plus a major bonus for this home is the "authorized one bedroom suite" with a separate entry. Conveniently located just 1 blk to Capilano Elementary.